After posting my blogging income report from last year (where I made $401,681 with my blogging side hustle), I’ve been getting a lot of reader questions about how much money can you actually make blogging? I think blogging is the perfect side hustle because you can do it in your own time, you can do it from anywhere, and you can build it into your lifestyle. Yes, I am actually working on a blog post on a sand dune in Oregon in the picture above! Many of the full-time bloggers that I know are able to make over $200,000 per year and work about 10-30 hours per week. And while it’s a smaller group I also know bloggers who make millions every year and work less than 10 hours a week (wouldn’t that be nice!). That’s an absolutely insane ROI for your time. More and more people are also reading blogs, so it’s really just the beginning. It’s still the Blogging Wild West. Get in NOW!! It’s pretty easy to make an extra $500 – $2,000 per month blogging in your first year. And then in year 2, 3, 4, and 5, you can significantly increase your monthly blog revenue. First, because there have been so many questions I decided to put everything I know about blogging into a Free 7 Day Blogging Side Hustle Email Course. That course is an absolute beast (like 20,000 words over 7 days!) and includes my strategy on blog branding, design, building traffic, building email your email list and so much money. If you want to make money blogging definitely sign up (it’s completely free). If you want to jump right in and start your blog, you can have a blog for only $2.95 a month using this exclusive Millennial Money link. Alright, now onto the good stuff. Here’s how you make money blogging and how much you can realistically make in year 1, 2, 3 and beyond. How much money you can make does not depend on how much traffic you are getting and how large your email list is. It’s not unrealistic to make at least $25,000-$50,000 your first year blogging, $100,000+ your second year, $250,000+ your third year of blogging, and $500,000+ in your fourth year. Seriously, if you keep at it and keep building your traffic and revenue will continue to grow. In my first year blogging, I made about $25,000, in year 2 I made about $150,000 and in my 3rd year, I made over $400,000, and I’m (crossing my fingers) on pace in year 4 to make over $1 million from this blog. And I’m able to write all of the posts on my laptop wherever I am. No matter what keep at it! While it takes time, blogging = freedom. 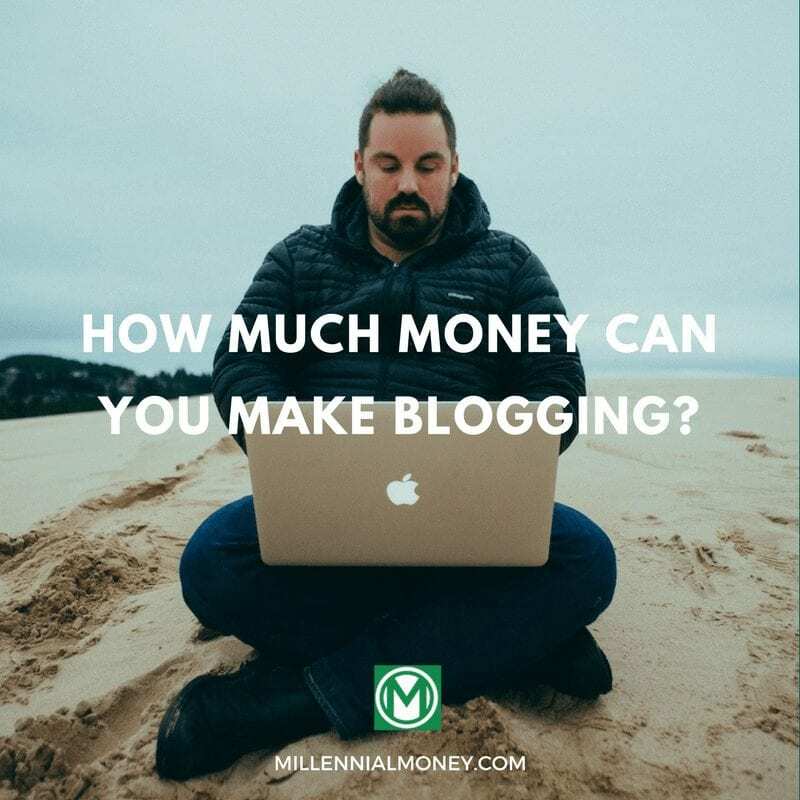 Later in this post, I highlight the 15 ways that I make money on the Millennial Money blog, but before we get there, here’s how you should think about (and measure) the money that your blog is making. Some of the bloggers that make the most money actually have pretty small audiences – they just know their audiences well and have maximized their earning per page view and email subscriber. Most professional bloggers are measuring both earnings per page view and earning per email subscriber monthly. Since I’m so busy I do it quarterly and it works for me. It’s not unrealistic to make between $0.01 – $0.25 per page view in many blogging niches across display and affiliate ads. So if you get 1,000 page views a month (very very easy), you can make between $10-$25 per month, which will cover the cost of running the blog. But if you can get to 100,000 page views a month you can make between $1,000 – $25,000 off of your blog per month. In rare cases I’ve seen a blogger make $0.20 per page view in a very profitable niche like insurance, but somewhere in the $0.02 – $0.05 is realistic. So the more people your blog reaches the more money you can obviously make. The more time you put into it, the bigger your traffic will grow, your email list will grow, and the more valuable your audience, the more money you can make. While making a lot of money blogging is definitely not easy, one of the best things about it is as your Google traffic grows over time, and your audience grows, you can make more and more money each year. This is why I love SEO (search engine optimization) so much – it really is the compound interest of blog growth. If you haven’t yet checked it out, here are my 67 Best SEO Tips for Bloggers. 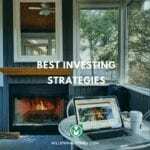 Study and use those strategies – they actually work. SEO is what is going to make you the money over the long run. Google organic traffic is by far the most sustainable traffic strategy. To learn more about building your blog traffic check out my Free 7 Day Blogging Side Hustle Email Course (Traffic is Day 4). The most important asset you have as a blogger is your email list. This is your crew, your audience, your tribe. They are the ones who will come back and keep reading your content and who you will build enough trust with so they will buy from you (either products you create or promote) or click on the affiliate links for the products you recommend. While you can, and will, definitely make money running display and affiliate ads on your blog, your biggest money making opportunity is going to be with your email list. The million dollar bloggers out there are able to make between $1-$5 in revenue per email subscriber each month!! If you have a list of 10,000 subscribers you can make up to $50,000 in revenue off that list per month! It’s crazy. Keep in mind that’s a really extreme example and not typical. Somewhere in the $1-$3 per month per email subscriber is actually realistic. The ABSOLUTE BEST email marketing platform that I’ve found (and is sending you this email!) is ConvertKit. Start building your email list as soon as you start your blog. Your email list is your most important asset. To learn more about building your blog traffic check out my Free 7 Day Blogging Side Hustle Email Course (Email List Building is Day 5). How much money you can make blogging depends largely on the niche you are blogging about. If you blog about used books, for example, you could probably only make money if you sold books directly through your blog and then you likely won’t make much money. Unless of course, you blog about (and sell) expensive, in-demand, rate books. But if you blog about money, for example, it’s going to be easier for you to make money because you can get larger affiliate commissions, bigger advertiser fees or CPMs (cost per thousand impressions), and sell products for more money. So pick a niche that you are really interested in writing about (this will help you stick with it) and one that can also make you money (if you want to make money blogging). Not all bloggers want to make money. Over the past 3 years, I have had the opportunity to meet (and work) with many full-time bloggers and while you can make money blogging in almost any niche, below are the most and least profitable blogging niches based on my own research and experience. Some bloggers are able to successfully combine multiple niches, for example, “travel and product reviews” to maximize monetization opportunities. Keep in mind these numbers are just average ranges that I have observed and were reported to me in a blogger survey of 481 bloggers across many niches. 1. Music ($0.01 – $0.03 per pageview, $0.10 – $1 per email subscriber per month) – I worked with a guy that had a music blog that got 2 million unique visitors a month, but he barely made $2,500 a month because it’s so tough to monetize. You need to think about your blog like a platform, not just a blog. A huge difference between million dollar and amateur bloggers is that they view their blog as a platform – meaning they use it to test (and then scale) money making ideas. They use it to connect with people. They use it to make money in a bunch of different ways. The more ways that you can make money on your blog, the more money you are likely going to make. Get creative. The experience you get monetizing your blog and connecting with other bloggers, the more ways you will find to monetize your content and your own brand. Over time you can grow your blog into a really profitable business that fits within your ideal lifestyle. Below I’ve outlined 15 different ways I have made money from the Millennial Money platform in the past year. None of these ideas are specific to money blogging and you can use them for almost any niche. One tip – if a brand reaches out and wants to advertise on your website or buy a sponsored blog post, you can typically make a lot more money by selling them a package deal that includes a few of the ideas below. If someone wants to advertise with you they want to reach your audience and you can make more money if you sell them a few different ways to reach your audience. Just because someone reaches out to you with one idea, doesn’t mean they won’t buy something else. Often the more creative you can get, the more money you can make with your platform. With that mindset check out all the ways you can make money on your blog as a platform. Google Adsense allows you to run ads from the Google Display network on your website. If you are brand new blogger Google Adsense is the easiest way to monetize your blog, but you won’t make that much money off of them. Even if you are getting a thousand visitors a month you might make $50 at most of Google Ads. But that’s a start! I used Google Adsense for the first year that I was blogging and then switched over to an ad network to get a higher CPM (cost per thousand impressions) and CPC (cost per click). You can learn more here about Google Adsense. Once you’ve reached at least 25,000 page views per month you can (and should) ditch Google Adsense and start working directly with an advertising network (they are also called publisher networks), who will directly manage the display ads on your website to ensure you are making the most money off of your ads. Typically these networks take between 20%-40% of the display ad revenue from your website. Even with this commission, you can make a lot more money working with an advertiser/publishing network than working directly with Google. There are often ad/publisher networks that specialize in your niche, so just do a simple Google search for [your niche] ad networks and you are likely to find a few that you can reach out to. Some of them are very selective about who they work with, so you might want to reach out to a few others. Affiliate marketing is legit and you can make a lot of money by placing affiliate ads on your website. In almost any niche you can make money recommending products or services and getting paid every time someone signs up through your link. These are affiliate ads and are a win/win for both bloggers and advertisers because the advertiser gets a confirmed sign up and you, the blogger, will likely get paid more money for a confirmed sign up than a click. Where you might get $1-$3 per click, with affiliate commissions, depending on the product you are promoting, you can make between $5 – $500 (or more!) when someone signs up through your link. So how do you make this kind of money? Only recommend products or services that you believe in and/or use. One of the fastest ways to lose the rest of your readers is to recommend a crappy or spammy product just because you will get paid if they click and sign up. It’s not worth it. Focus on finding affiliate relationships for products that you really believe in and/or use. Not all companies have affiliate programs or they keep them hidden for a smaller group of bloggers. Just reach out to the makers of your favorite products and/or services to see if they have an affiliate program. If they do they might have minimum traffic requirements, and if so, just make a note to contact them when your traffic gets bigger. To learn all you need to know to make money using affiliate marketing here is the best course I’ve found from my friend Michelle – Make Sense of Affiliate Marketing. THE ROI on this course is insane! You can make your money back in just a few weeks. Definitely, check out Make Sense of Affiliate Marketing. One of the most popular affiliates is Amazon and you can get paid whenever you link to a product listing on Amazon if one of your readers buy the product. While the payouts (what you get paid for sale) aren’t as much on Amazon as going directly to a product or service, they have really easy to use affiliate platform and you can pretty much promote any of the gazillion products on Amazon. The more expensive the product you promote is, the higher the commission you get if someone buys it through your link. This is one of the reasons people who blog about electronics and cameras and expensive items can absolutely crush it through affiliate ads – every time someone buys a TV through their link they are pocketing up to $200 per transaction. You can earn up to 10% with some transactions. Those numbers add up quickly. 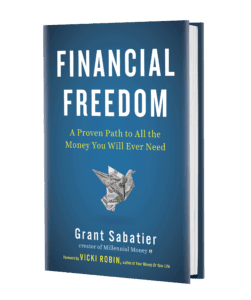 I currently only use Amazon affiliate ads to promote books that I recommend on Millennial Money, but make at least $1,000 per month through Amazon affiliate ads from this post on best money books. You can learn more here about Amazon affiliate ads. The bigger your blog gets the more people will reach out and offer to pay to put their content on your blog. You are going to get hit up A LOT. About 100 people a week reach out to meet asking for me to put their post on Millennial Money. Typically they will offer between $50 – $1,000 to publish one of their posts on your blog. You might be thinking, whoah that’s a ton of money just to publish a post someone else has written, but you need to be careful. Google doesn’t like this practice and if they think you are publishing a lot of paid content they could blacklist your blog (which is absolutely terrible and will take you forever to recover from). You also want to be careful about how often you post sponsored content because the posts are often really crappy or have crappy links included in them. If you are linking from a crappy blog post to a crappy link Google is going to notice and so will your audience. So be very very careful about accepting sponsored content posts, or ask for a much higher fee and write them yourself. In the 3 years that I’ve been writing Millennial Money, I’ve only accepted 4 total sponsored posts and all of them I ended up rewriting myself and charging a larger fee. And all of them were directly related to ideas/services I already promote. Protect your reader and Google reputation above all else so go easy on the sponsored content! Some brands or companies will reach out to you to put a banner display ad on your website to promote their product. Or you can reach out to companies that align with your target readership and blog niche. Sell the fact that a display ad will be on every page of your blog and get the maximum amount of visibility. Typically you can get between $200 – $2,500 a month per display depending on the niche you are blogging about. Some bloggers absolutely crush it, making $20,000+ a month on display ads alone. Typically you can sell a 728×90 banner ad for the most money since it’s the most visible when you put it in your blog header. But be careful to not put too many ads your blog – typically you can only sell direct display ad buys at a time. But if you really want you can push this and put smaller ads in your blog sidebar (have you seen those tiny little square ads on websites?) – some bloggers make a ton of money on 100 pixel / 100 pixel ads that are really really targeted. There was recently an app that wanted to be on the Millennial Money homepage for a month, but I don’t put ads on my homepage. Eventually, they offered me $15,000 for a one-month placement, which I just couldn’t refuse, so I built a temporary box on my homepage just for their ad. Always negotiate – let them make the first offer and then ask for at least $100 – $200 higher. Don’t leave money on the table. It absolutely blew my mind the first time a brand paid me to tweet. Seriously, I just couldn’t fathom that someone would pay me $500 just to tweet for 30 minutes in a Twitter chat. It was awesome. Since then I’ve been paid between $500 – $3,000 to do simple social media promotions of other people’s content. If you are an influencer or expert in your niche you can likely make money promoting products or services on social media. The bigger your following the more money you can get paid. Paid promotions are one are where growing a large social audience can really pay off. For example, some bloggers I know with massive Instagram followings make at least $5,000 per month promoting products in their niche (fashion and travel specifically). Sure they have a blog, but they make more money on their social following as they grow their blog. This is how many of the largest, most profitable bloggers, make their money. Depending on the niche you write in and the affiliates you work with, you can crush it running Facebook or Google ads to your monetized content. This is an effective and popular blog monetization strategy many bloggers are using. Basically, the way it works is you buy Facebook traffic to your blog for say 3 cents to $2 dollars per click, but then a certain percentage of that traffic then signs up or buys something through one of your affiliate links. Then you manage how much you spend on ad clicks to generate affiliate revenue. While this definitely requires some Facebook and/or Google ad testing, over time when you find the winning combination (example for every $1 you spend on ads you make $5 in affiliate revenue) you can scale it quickly. I know some bloggers who spend $20,000 or more on ad traffic to their website, but they make over $30,000 in profit on that ad spend! Some bloggers I know make over $1 million A MONTH by buying and monetizing paid traffic. I’ve never gotten that good at this type of monetization, but it’s definitely something I’ve been exploring and growing on Millennial Money. While it will likely be difficult for you to launch a course shortly after launching your blog, building a course is a great way to make money on your blog. It’s never been easier to sell your expertise and make money teaching others. You can either host your course on your own WordPress blog using plugins like WordPress LMS or through a third party website like Teachable. In 2017 I launched the first version of the Millennial Money course and it was so successful that I had to take it offline only 30 days after launching it because I didn’t know what I was getting myself into. Just to provide support to all of the students was a challenge, but the course was definitely very profitable. Many of the bloggers who are friends of mine have launched multiple 6 figure courses and a few have made 7 figures with their courses (yes you read that right – they have made over $1 million from just launching courses through their blogs). If you are thinking about launching a course check to see what else is out there in the market and who you will be competing with because I’ve also seen many bloggers launch course that they spent a lot of time building that didn’t do very well. If you are planning to develop a course that someone is already offering think hard about what would make your course different and why someone would buy it from you instead of someone else. Would your audience buy it? it’s often best to launch a course after you’ve been writing on your blog for a while and you know more about your audience and what they are willing to buy. Over the past few years a number of companies, both big and small, have paid me fees as a consultant to do many things, like providing feedback on a mobile app, feedback on a new financial website, to flying in and working with their design and marketing teams, or to speak with their financial advisors about Millennials. While I’ve been offered quite a few consulting gigs, I only take the ones where I am really interested in learning about the product or interest in forming a longer-term relationship with a company. If you become an expert in your niche or have a unique viewpoint, companies might be willing to pay you for your expertise. If you want to get consulting gigs the best way to do it is actually through LinkedIn – probably 80% of my consulting opportunities have come through LinkedIn messages, not my actual blog platform. But in 100% of the cases the companies are only asking me to consult with them because of my background and the Millennial Money blog. A simple way to set yourself up for consulting opportunities is to connect with other bloggers and people who work at companies in your niche on LinkedIn. Then start using LinkedIn to distribute some of your content. Also, the next time that a company reaches out to you to review their product, ask if they would be interested in having you come in to test and discuss it in person (you might get paid and a free flight to somewhere cool!). I am able to charge companies anywhere from $500 for a quick call to $15,000 for a one-day visit and workshop with their team. Once you start getting noticed in your niche then brands might start reaching out to you to discuss ways that you can “work together”. Be ready when this happens and have ideas and packages for how you can help their brand reach your audience AND vice versa. If you partner with the right brands it will benefit you as well, since they will share your content and email their followers about you as well. I’ve been able to generate a ton of blog followers through a few partnerships with big brands. Another benefit of big brands is that they likely have big budgets, which means they have more money to spend to work with you. My largest brand partnership was a $50,000 deal for 2 months that required very little of my time and was a win-win for both my brand partner and my audience. One piece of advice – most brands will want to start small with you but don’t undersell yourself. If a brand is reaching out to you they want to work with you, so be willing to negotiate. A few of the early brand deals I did I really undersold myself and they ended up being a ton of work. Over time you should look to create longer-term brand partnerships that are mutually beneficial and can become consistent forms of revenue for your platform. Podcasting is the wild west right now and while it’s hard to make big money unless you have a big audience, it’s relatively easy when working with a podcast host like Podbean (the one I use!) to monetize your podcast. This is because Podbean has a feature that you can sign up for free that lets them place small ads before and after your podcast. You don’t have to do anything – just keep podcasting and then make money. Another way you can sell ads is direct to a brand or company that reaches out to you. But like I said, it’s the wild west so it’s hard to figure out what to charge and what company’s are willing to pay for. Somewhere in the range of $100 – $500 per episode is fairly common. While I’ve made very little money on the Millennial Money Minutes podcast, I have included podcast advertisements as part of brand partnerships that I’ve sold. If you are a new blogger I’d recommend you get 6 months of blogging under your belt before launching a podcast. The worst thing you can do is burnout and stop working on your blog. A podcast is a lot of work. I started offering private coaching in the Summer of 2017 and really enjoy it. It’s also been a stable way to make consistent revenue through the Millennial Money platform and connect one on one with my audience. I’ve learned so much about coaching and how to be help readers through my private coaching engagements. The one challenge is that, even though I talk to my private clients either 30 minutes each week or 1 hour every two weeks, it really takes quite a bit more time than that because I prepare and I’m also always thinking about my clients. This is why I only work with 5 people at one time. No matter how big the blog gets I always want to work with 5 people directly since I enjoy it and it’s the most effective way for me to help people grow their online business and fast track their financial freedom. in 2017 I was able to make almost $50,000 through my private coaching clients. I can’t wait until my book is released because then it will make more sense to speak at conferences (since they can buy books too! ), but I am doing more speaking gigs and make between $1,000 – $15,000 per gig. Conference speaking is tough though and often requires a lot of travel. I’m very selective about the events that I will speak at, but look forward to continuing to build this opportunity through the Millennial Money platform, especially when I am promoting the book. I know some bloggers who make at least $200,000 a year just by speaking at conferences. If you become an expert in your niche, are good at writing about your topic, and you’ve built an audience, then you might be a good candidate for a book deal. Book agents and publishers are always for talented writers with expertise. While it might sound crazy to think about writing a book right now, this could be a real possibility as you grow your blog. If you would have told me 3 years ago when I started the Millennial Money blog, that I would be able to sign a book deal with a major publisher I would have thought you were insane. Seriously, you have no idea where your blog will take you – that’s part of the adventure of it. FYI I’m giving away at least 500 copies of my book to my book list – if you want to sign up for that list you can here. Last but not least, blogging is writing, so the more you blog the better writer you are going to become and the more likely you will then be able to sell that expertise through freelance writing opportunities. Soooooo many companies and publications are looking for niche experts to write for them and will pay you to write. Many new bloggers use freelance writing opportunities to supplement their blogging income while they are getting their blogs off the ground and building an audience. Another benefit to making money freelance writing is that you can get more exposure as an expert in your niche and build your portfolio. Typically freelance writers can get between $300 – $1,000 per freelance writing blog post and more money for longer pieces like white papers or reports. …..and there are many other additional ways to make money off your blog, like selling products, monetizing your YouTube or on-blog videos, selling access to a member area and many others ways. Always remember you are building a platform and the more creative you can be the more money you will make. If you really want it and keep at it, you can actually become a millionaire blogger. 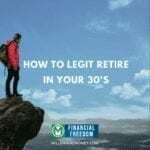 Seriously, the first year might be pretty hard, but not only does it get easier after the first year, you can also start making a lot more money. Happy Blogging! Have you started a blog? How do you make money? This is all amazing content Grant! I’ve been following your blog now for about a year. 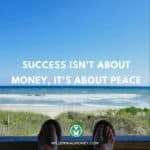 I’ve had a passion for personal finance for over ten years and I decided to launch my own coaching business this year along with a blog. I will be taking some time to really digest this article. Thanks Scott. Would love to hear how coaching is going. I’ve been doing some 1 on 1 coaching myself with readers and have learned a lot. This post is chock full of amazing information ! I’ve signed up for the Blogging Side Hustle Course-I’m trying to grow my readership and mailing list so I can earn some income. Man, so much info. to digest here. Definitely bookmarking this beast. Thanks for such a great resource, Grant. Excited for the email course as well. Great post, so much content to digest. I am in the beginning stages of my blog, but I love your point about maximizing your platform to find different avenues of making money. It’s a thought process I use every day at my business- creating multiple revenue streams- why not use that same strategy on the blog too? Bloggers and internet marketers are silent rockstars, because we’re just as big as United States politicians. The blogs is the Army + the Navy, not Jay-Z. We respect the ladies and kiss the babies. We broadcast on duplex content marketing and side hustling frequencies engineered to bring competitors and other adversaries to their knees entrepreneurially. Lots of great tips in there! I’ve found Amazon Affiliates to be one of the most difficult. That’s absolutely crazy man. I didn’t know there was so much money in this. Keep up the great work! Good write up, ty! As I understand, if you’re new to blogging, you can’t just create a new blog using googles “blogger” hosted site, create posts and start using ads. Based on my experience, your site needs to have some requirements such as site minimum age, viewers, content, etc…. Would be nice to have a bit more clarity on this part, esp if your using googles blogger to host your site. Any additional context you can supply here would be good, since Adsense seems to be difficult for a newly created blog. Other ad networks seem to have similar requirements. This is an incredible post. Thank you for the insight Grant. Wow, I started my blog this week and needed reassurance: I sure found it here!